Data Visualization is a critical part of your job as a data scientist, but it does require a bit of skill and a bit of intuition. Visualizations have incredible power to both inform and obscure, so getting the fundamentals of visualization down is a foundational data science skill. When you get your first (or next job), you may be tempted to throw everything at your visualization, but not every technique and piece of data is critical. Here are three things your boss won’t care about in your data visualizations. That may sound harsh, but a mistake we often make in a new job is going above and beyond for all the wrong reasons (and in all the wrong ways). When you’re choosing a data visualization method, you may build a highly complex, unusual visualization to show how adept you are at fitting absolutely everything into a picture. Getting too clever, i.e., complex, with your visualization often obscures the fundamental story. When your boss asks for data pertaining to a business query related to a particular KPI, resist the urge to throw all the data at the visualization and stick with the story the data tells. Stick with simple and cut out the noise. Your visualization should empower the viewer to develop a conclusion or understand something they might have missed without the visualization. The infamous yes-man can make an appearance in data too. If your boss is asking about the data to back up the success of an initiative, giving only the data that speaks positively is counterproductive. Any boss worth his or her salt won’t be interested just in the good news data. Data should tell a story, but even negative results can help alter the course of a business’s initiatives. If you’re prone to people pleasing, or your company culture punishes negative feedback, it’s not going to bode well. Data visualizations can be manipulated to show just about anything, but it’s your job to cut through the BS and present a visualization that actually provides the honest answer that a business needs to advance, or to scrap, a bad idea. Get rid of “well, it could…” and stick with what is. To be clear, interactive visualizations can be a compelling high point in the data presentation. However, interactive visualizations decoupled from that compelling high point are nothing but a distraction. An excellent example of interactive data is the mapping visualizations done by the Equal Justice Initiative. Here users are led through a series of interactive visuals that helps them draw important (and humanizing) conclusions they may have overlooked otherwise. Another more straightforward visualization is the size of the universe. Users can get an idea of scale by sliding the ruler up or down to get an idea of the scope of the universe and just how small the tiniest particle could be. These interactive visualizations provide the user with the ability to draw a conclusion or learn a principle that may have been missed. This is a narrow scope, however. If your data’s story can be told simply with a static visualization, there’s no need to add layers that distract from the information. Be honest with yourself. Does the interactive component cause you to move down a rabbit hole of data, endlessly manipulating and selecting, or does it lead you to a logical conclusion? Will your boss leave more confused than before? If your interactive points don’t lead to a clear apex of insight, the visualization is a distraction. Understanding how people interpret visualizations and the ways data can be used to manipulate perception is a critical part of data science. Visualizations that are too complex can obscure the data and confuse the viewer. 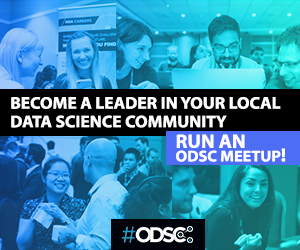 Keep in mind that your job as a data scientist is to provide value for your business or organization. Visualizations should lead the viewer to a conclusion they might have missed without it or build a case for a decision and course of action. Data for data’s sake is not the purpose. Many of the best data visualization tools have resources to learn best data visualization practices (and watch this talk by Dr. Lindsay Brin on how to remain ethical in your presentation). 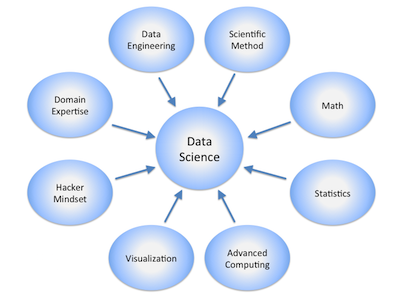 Other websites, such as edX, Coursera, or Codeacademy, may be able to provide you with data visualization foundations that can take your career in data science to a new level. Visualization, like data, is an evolving, living thing. Editor’s note: Ready to learn more of the best practices for data viz? 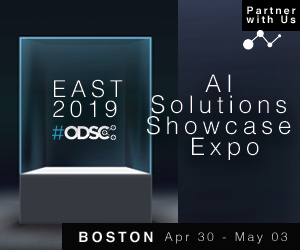 Check out the data visualization track at ODSC East 2019 in Boston this April 30-May 3 and get all the tricks of the trade there.